I am writing this because I am pretty annoyed and sick of PAP's spin doctors and people putting up bad propaganda write ups of Mr. Lee Kuan Yew. LKY, as most of us called him, is great in his own rights but there is no need to exaggerate and worse, put up slanted and misleading historical narrations to make him look like a God. He is no God, just a man. Even as a man who doesn't worship him like me, cannot simply ignore his contributions and achievements in various aspects. But distorting historical truth doesn't do justice to our children and future generations. Let's put things into proper perspective with critical objectivity. As I have stated so far, LKY has greater achievements than most his PAP people and spin doctors would want to talk about but either due to ignorance or some agenda, harp on the wrong credits to LKY of "Fishing Village to First World" narration. 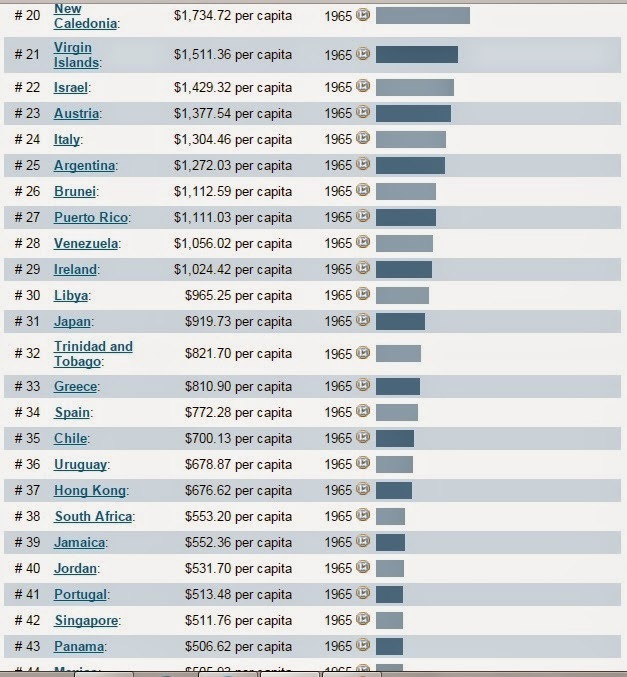 For those who believe or keep singing ridiculous praises of LKY getting Singapore from "Fishing Village to First World", I hope you get the fundamental facts right first. A lot have been said the myth and falsehood of Singapore being the "Fishing Village" that all these people are harping when PAP took power. Whether it is a "Fishing Village" or the most advanced port which the British left us when PAP took over, it is not really possible for LKY to be contributing much directly to our Economic growth. 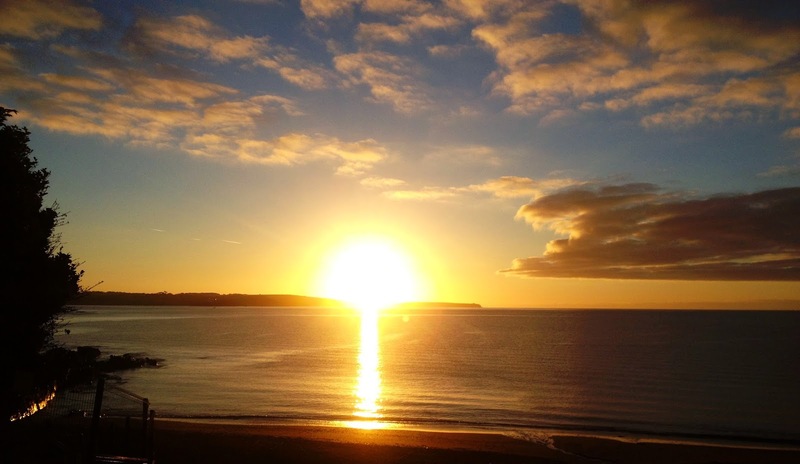 Even the "Miracle" of such development may be exaggerated in some sense. Let's look at the hard facts. 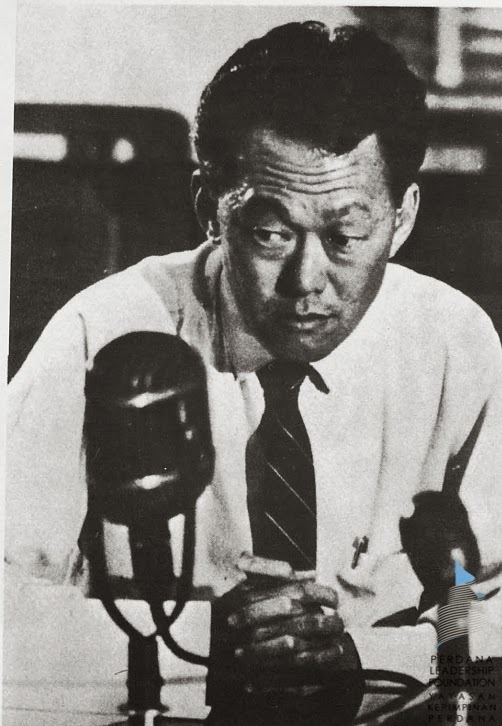 When LKY took over as PM in 1959, he was just a young 35 year old lawyer. Yes, he was extremely bright lawyer who has gotten a double star (Double First Honours) for his Law study in Cambridge, but no, he wasn't trained in Economics at all. He knew nothing about Economics and it was recorded that Dr Goh Keng Swee has a hard time convincing him about getting rid of import tariffs so to position Singapore as a Free Port, so much so that Dr Goh has to give a few books to LKY to read. No doubt LKY was a very intelligent fast learner and picked up Economics along his path of political governance, but let me put this perspective, it is really totally impossible for anyone who has just to start learning Economics from scratch to have that ability of making an Economic Miracle out of Singapore. Thus, rightfully so, Dr Goh and his advisers, were the ones who brought Economic development to Singapore. Coupled with the fact that Western and Japanese Industrial Economies started to go for outsourcing and subcontrating and shifting some of their productions to cheaper places like Korea, Taiwan, Hong Kong and Singapore (4 Asian Tigers), thus, our economy boomed. Singapore is the smallest economy among the 4 Asian Tigers and thus, inevitably, the economic benefits and impact of such Global development will spread much faster to everyone on the island. Thus, the so call "Economy Miracle" itself is an over-exaggeration without looking at the context of the start of Globalization of the Industrial world. Well, Singapore and LKY were really fortunate to have the most able Economist Dr Goh Keng Swee during this period which provided the necessary economic vision, direction and development which allowed us to ride on this trend of Industrial Globalization. 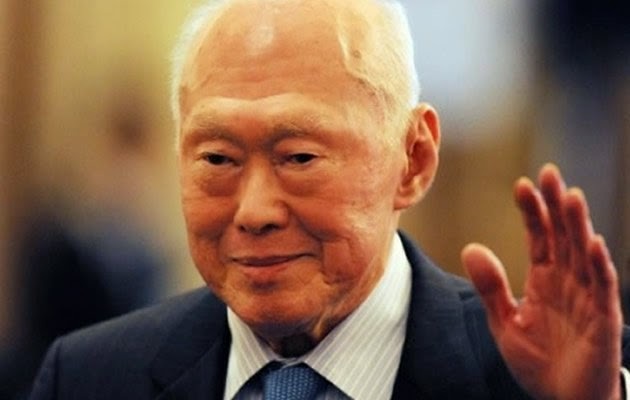 LKY contributed in other ways to Singapore and even the whole Asia Pacific region, through his pragmatic and opportunistic cultivation of PEACE among the various countries. From getting peace from Suharto after Suharto successfully overthrown Sukarno, convincing Tunku Abdul Rahman to a truce on racial bickering and more importantly, engagement of China to stop propagating and supporting the communist elements in SEA, getting China and US, along with SEA partners to put the war in Cambodia to a peaceful end as well as successfully getting China and Taiwan to hold the first ever official talk in Singapore and thus, raising Singapore's status in the International Political Arena. A small country like Singapore can only thrive when there is PEACE surrounding it, not just within it. And that is the greatest contribution of LKY, not only to Singapore but to all the countries in SEA and Asia Pacific which are enjoying decades of growth under the peace which LKY has contributed tremendously in achieving. To attribute LKY's achievements narrowly to merely Singapore's Economic development is a GROSS UNDERSTATEMENT with Ignorance. Although I do not like LKY's dictatorial governance of Singapore which has caused much unnecessary sacrifices by many of his critics, dissidents and political opponents which in the end, destroy the tenets of Democracy as well as creating a Cultural Desert out of fear for Singapore, but as an Economist and politician, I cannot ignore his tremendous contributions in all these MORE important areas. In my opinion, nobody else in PAP's current slate of politicians and ministers, not even PM Lee himself, could fill the gap of such important role, the opportunistic pragmatist Peace maker of Asia Pacific. This role is becoming especially more important in view of the current complicated development of South China Sea conflicting claims and the tension between Japan and China. But who in Singapore can continue to provide that function and fill the role which LKY has left vacant? This is something more important for Singaporeans to ponder about for the future safety of Singapore, in order for us to live and grow our economy. Having said all these, despite of LKY's achievements in this area, as a Democratic Fighter, I will still refuse to mourn the death of a dictator who has done great harm to many of his victims as well as Singapore's Democratic Development. However I will not stop others to mourn for him and my urge to those who agree with me, not to create too much of a tension with your friends and family members due to our refuse to mourn for him. And for those ignorant PAP spin doctors, people and LKY fans who really lack the international perspective to give proper credits to LKY, please stop distorting historical facts and narrations of our Nation's history in your attempt to "exaggerate" the greatness of LKY in the WRONG way. This will do no good and a great sin for our future generations. LKY is NOT GOD and he might have done really bad things to other people, even bad decisions, political scheming in his life, so be it. No need to try to white wash all these for LKY and the truth is, LKY was not shy to admit all these in his life, though with excuses and defence which are not acceptable to people like me. LKY is just human and we should just remember him as such, a human who is fallible to the bad ills of what power can bring to one. I promise I won't write NASTY letter of condolences to Prime Minister Lee, just as he did to Kenneth Jeyaretnam​ when his father JBJ passed away. But let me share with my friends what I really think of LKY. Whether we like it or not, Singapore was lucky to have an opportunistic pragmatist like LKY to wiggle us out of danger and animosity during the 1960s. He was a good schemer, pretender who was able to convince the British Colonist that he was the right one to run Singapore so that their interests in Far East would be protected. On the other hand, he was able to con the Leftists into fake collaboration of anti-colonial fights, gaining their trust and riding on their enormous political capital and organization to gain prominence among the largely Chinese based voters. Whether we like it or not, that is one of the greatest political maneuver ever in Singapore political history. He could on one hand, scold the British "White Man" but at the same time, struck back door deals with them, making sure all blame went to them but yet, convince them he was the man they need! His pragmatism has also allowed us to gain the necessary peace and breather from the animosity from Indonesia. He managed to convince Suharto that peace is what we need. On the other hand, he could well continue to convince Tunku Abdul Rahman to settle for peace and continue to supply us water, even though he has agitated him bad enough for him to ask Singapore to leave the Malaysia Federation! His pragmatism has also made the normalization of foreign relationship with China possible, not only for Singapore but Malaysia and Indonesia as well. He could have put up his rally cry of anti- "Communist Terrorists" throughout 1960s, 1970s and even 1980s, but still he could shake hands with the leaders largest communist country in Asia who were behind the exportation of communism to SEA. He seized the opportunity to get China involved in forcing Vietnam, the only Communist Country in SEA, into peace in Cambodia and thus, removing the last threat of Communism to Thailand, Malaysia and Singapore. On the other hand, his cultivation of warm ties with the western powers, particularly US, has allowed us to make use of their presence at our port to provide the necessary peace and stability, not only for Singapore, but also for SEA and North Asia. Singapore's role in the Vietnam War as a logistic base for the Americans in the 1960s and 1970s has provided opportunities for us to ease the pressure of the pullout of the British troops. On the international front, his opportunistic pragmatism has allowed us to make use of the American to balance the power and provide a security net against potential Chinese expansionary threat while on the other hand, despite of his suspicions of China, continue to reap economic benefits from China's economic growth and development. We cannot ignore all these delicate but important achievements of LKY, which have brought important benefits to us over the generations. This is even though we dislike the man who has in some point in time, get overwhelmed by the power he held. As I have mentioned, his greatest failing is to destroy the tenets of Democracy in Singapore. He should have stopped his addiction to unnecessary harsh treatment towards dissidents and political opponents after he gained power in the 1960s. But he didn't stop but continue with his devious ways. The imprisonment of activists in 1987 under Operation Spectrum was the last embarrassment which made him realized that he could no longer use ISA in such a irresponsible way against dissidents. Nobody believe the "Marxist Conspiracy" which he tried so hard to put up because USSR was in the midst of disintegration and China, thanks to him, had stopped the support of exporting communism to the rest of Asia! 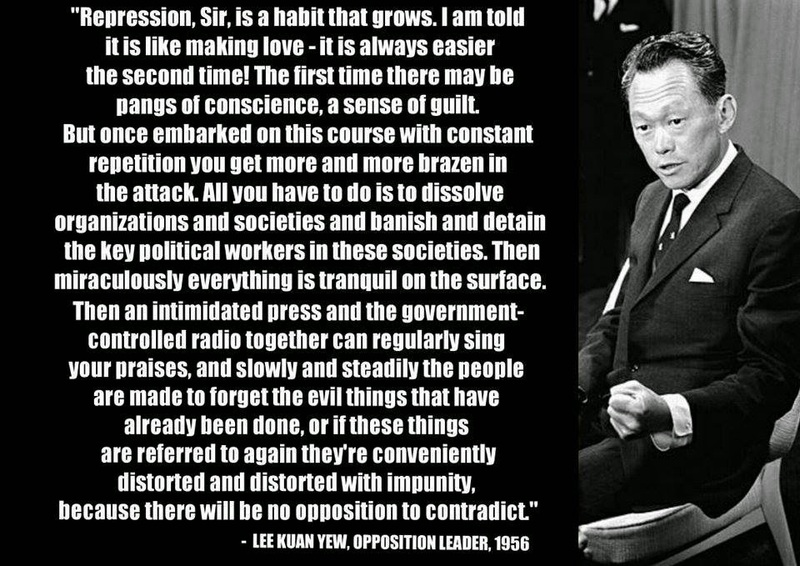 This is why Operation Spectrum became the LAST ISD operation against political dissidents and opponents of LKY. However, instead of reflecting on his insatiable desire to monopolize power, he continued persecution of his political opponents and dissidents by legal means: defamation suits and bankruptcy of his opponents. He didn't realize that such petty politicking internally is really unfitting for a Great International Politician like himself! In his relentless pursue of such monopoly and concentration of powers, he has unwittingly destroyed the tenets of Singapore Democracy. This is the biggest failing of his political legacy. And I reiterate, we have to try to rebuild what he has destroyed, Democracy, in Post LKY Era. For whatever good or bad deeds LKY has done for us, let us accept the man of what he was. He was a Dictator, unlike most other Dictators in past and present, has done both great good and bad for his people. As a person who believe strongly in Democracy, I will still not mourn the Death of a Dictator. But I will remember both the good and bad deeds he has done, putting these as lessons for future. Last but not least, I will still wish him, Rest In Peace. There is nothing more for him to do anymore. Please don't jump out of the grave even if there is any problem in Singapore. Just Rest In Peace. The PAP IBs and LKY fans regard me as "LKY hater" but I am definitely not because I am not the victim of his ruthlessness, unlike many others who have been unjustly imprisoned and tortured by him. I consider his greatest FAILING in his political career to be his TOTAL DESTRUCTION of the tenets of Democracy: The Separation of Powers. This bad deed, has longer implications on Singapore's development than any other bad deeds he has done during his lifetime. For his deed of treating his opponents with unnecessary harsh and inhuman means, it could be easily be forgiven by these victims if he has repented and apologized. But not so for this deed of destruction of Democratic development. The political system which he has carefully designed, could only survive with his dream of having "Philosopher King" with massive concentration of great powers without being corrupted. That is definitely IMPOSSIBLE. It may have worked during his time but it has opened up Singapore to instant failure should a corrupt leader get into power as there is a lack of checks and balances and accountability. 1) CPIB should be made independent of PMO, oversee by a commission led by a retired judge. 2) The appointment of judges, especially Chief Justice, should be made independent of the executive. We should not repeat the stunt of appointing someone who was only "lawyer in name" without rich experience in legal practice or justice department to become Chief Justice or even High Court judge. 3) The Executive should be banned from meddling with editorial rights of newspapers and TV stations. 4) Elections Department should be made independent of PMO as well, led by a commission. Any changes to boundaries should be transparent and open for scrutiny. The ED or the commission in charge should justify any drastic changes. 5) The ISA should be reviewed and the law should ban the use of National resources for espionage on political parties without strong justification of National security threat. ISD should only work on cases or situation which warrant their attention in terms of National Security Threats. They should not work for political missions dictated by the ruling party. 6) Conflict of interests should be minimized and declaration of such interests is important in the process of policy making as well as appointment of key personnel. The anti-corruption law should look into this. 7) Declaration of assets for political appointment holders such as Prime Ministers, Ministers, Ministers of state etc should be made transparent. 8) The Government should "get out of business" in Singapore. This is to prevent the massive conflict of interests and impact on Rule of Law in Singapore. The Government cannot subject itself as the regulator as well as the one being regulated. This has been deliberated by Eric Tan in his latest article. 9) Addition by Ken Zeng, the Prime Minister should only have two consecutive terms. Entrenchment of power will lead to the possibility of corruption of power as well. 10) Ministerial pay should be lowered further to reflect the nature of Public Service. We do not want our Ministers to stay in power for too long as well. This is to prevent them from taking this as "just another job", too comfortable to move on. The Minister pay should be pegged to the lowest 20% percentile of income, calculated with the inclusion of those WITHOUT income. It may also include a certain percentage weighted peg on the median income level. 11) Addition by Ken Zeng: Reinstatement of Jury system for certain cases as practiced prior to 1969. These are the few things in my mind now.Please feel free to suggest any other things you think which is important as in Separation of Power alone; not just any policy issue.